Available exclusively from Warmup, the 3iE is the worlds first fully interactive, touch technology, energy monitor thermostat. The 3iE now comes with a thinner and more resilient floor sensor for easy installation. Featuring advanced energy monitoring, the Warmup 3iE allows you to view actual graphs of your recorded energy consumption against costs. That means you know exactly what your underfloor heating running costs are. The Warmup 3iE is also the first programmable underfloor heating thermostat to come with Active Energy Management, which can save you up to 10% on your energy bills by actively prompting you to test lower energy consumption levels. Available in the following colours: Classic Cream, Piano Black, Silver Gray, Leaf Green, Madison Blue, Deep Pink and Warm Berry. 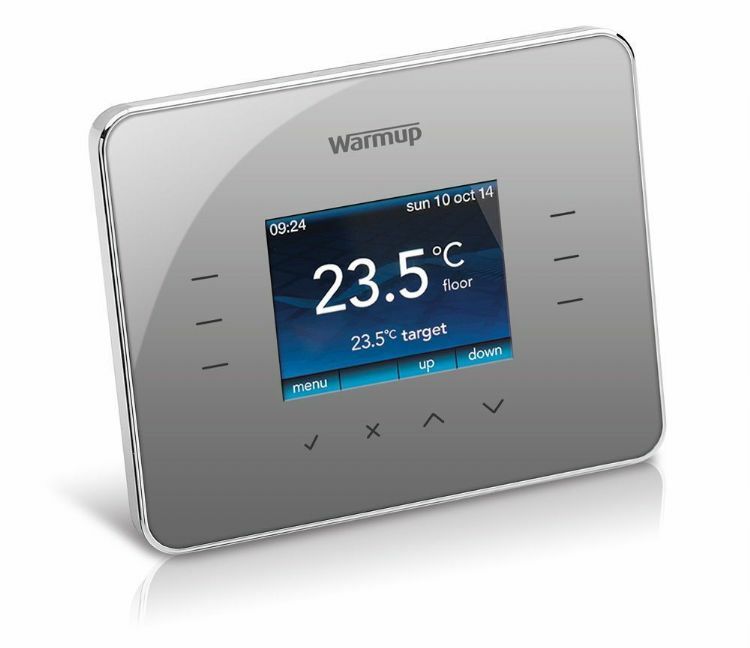 Warmups new Extended Lifetime Warranty is now available on the Warmup 3iE Energy Monitor Thermostat range. Now you can upgrade to a lifetime of protection (the lifetime of the 3iE is 25 years) and peace of mind for as little as 29.99 (includes VAT) per thermostat from participating retailers. Any replacement of the underfloor heating thermostat is also covered by the Warranty and is fully transferable.